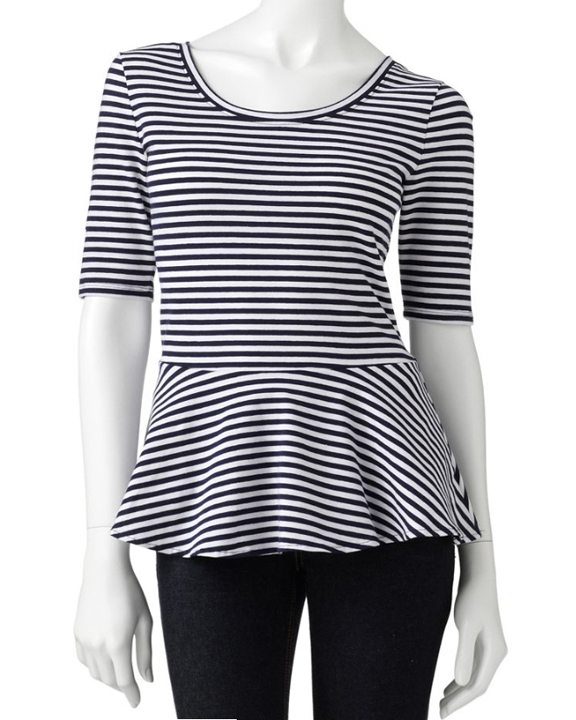 I spotted this striped peplum tee for a steal and just had to share. The proportions are perfect & the curved effect of the striping is just so flattering, don't you think? I also really like this similar peplum tee in floral. They seem so...maternity-wear to me. After having two children and not having to wear maternity garb now, it just still doesn't make sense to me. I can see that, but they don't read maternity to me. I think because they define the waist (that beautiful thing you haven't had a chance to show off while pregnant) they are a great solution to postpartum dressing.